Director Kenneth Branagh has woven a weird, wonderful tale with his take on Artemis Fowl, the first teaser trailer for which Walt Disney Studios released on Tuesday, November 27. Opening on a shot of a lush green forest that quickly flips to show heavily industrialized city streets and packs of people on motorbikes, the first look at Artemis Fowl reveals the existence of fairies, who have have hidden underground for generations due to the toxicity of human greed. 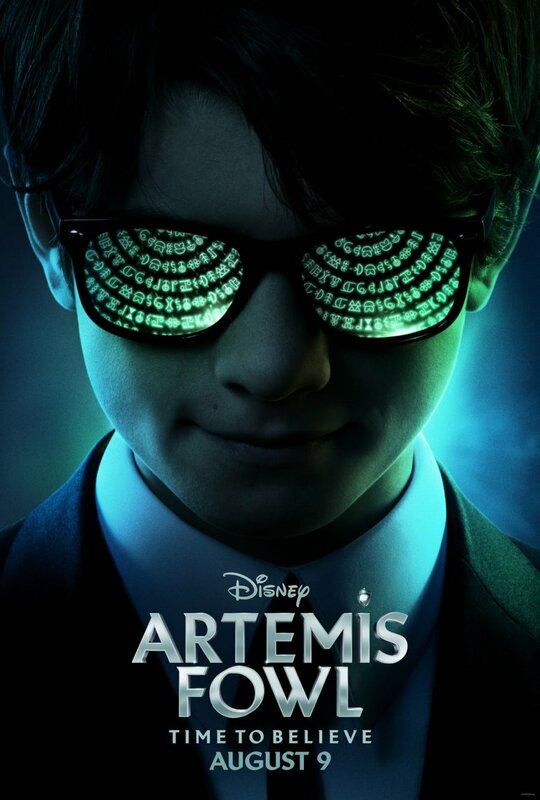 It also introduces audiences to the protagonist who will face off against the winged creatures: 12-year-old Artemis Fowl II (fresh-faced actor Ferdia Shaw), a genius progeny of a family of criminal masterminds who discovers that the fairies may have played a part in his father's disappearance. Before Artemis finds himself locked in a battle of "strength and cunning" against the powerful fairies, he teams with his bodyguard and chamberlain Domovoi Butler (Game of Thrones actor Nonzo Anozie), meets a fairy disguised as an old woman, and attempts to get his hands on her tome — which holds the information that will answer to his many questions about the mythical species. In his efforts to find out where his father went, Artemis also seeks to obtain fairy gold to replace his family's sizable fortune. The teaser doesn't reveal too much of that plot, instead opting to establish the backstory, tease some action sequences, and dive into the secret world where the fairies and other creatures like trolls and goblins reside. But for those who are familiar with the source material, the young adult novel written by Eoin Colfer, the footage should definitely spark their interest. Those uninitiated in the world of Artemis Fowl should be intrigued as well, particularly by the gravelly, grumbling voiceover featured in the teaser trailer. None other than Dame Judi Dench is the voice heard in the footage; she lends her pipes to Commander Root, the leader of the fairy law enforcement group known as LEPrecon. "Our world has never been in more danger. Human greed is what drove us underground all those years ago to escape from your rapacious appetite," Dench's Commander Root says in the teaser. She later tells Artemis, "I warn you, boy, you are not prepared for the truth behind what you seek." It's difficult to determine how faithful Branagh (known for Thor, Cinderella, and Murder on the Orient Express) has remained to Colfer's novel based on this teaser alone. However, in a recent interview with Collider, the filmmaker gushed about how "fantastically rewarding" it is to translate the book to the big screen and hinted that his experience directing Thor has informed his approach to adapting Artemis Fowl. "The imagination [attracted me to the books]. It felt very original … The collision sometimes with the proximity of worlds, very few worlds. I like that creatively. It always feels like it's a good, risky place to be. I've had some experience with it making the film Thor, where a very contemporary feeling, still heightened world of science is right next door to a world of magic. So, it was very fascinating to me. It means you can be very poetic," said Branagh. "Anything I do is an invitation to delve into things you don't know, read, and expose yourself to experience, and stuff that is new. So, that's been fantastically rewarding." Those comments sound promising — and like Artemis Fowl won't turn out to be one of those sometimes disappointing movies that completely ignore the books they're based on. Also featuring Josh Gad as Mulch Diggums, Lara McDonnell as Captain Holly Short, and Tamara Smart as Juliet Butler, Artemis Fowl is set for release on August 9, 2019.